Discover how Costa Rica earns its reputation as a natural wonderland on this adventure through one of the most exciting, striking, and socially progressive countries in Central America. Literally translated as the 'rich coast', Costa Rica is a land of varied topography and broad spectrum of ecosystem; between its borders, Costa Rica encompasses white-sand Caribbean beaches, volcanic mountain-scapes, lush, velveteen jungle, low-lying plains and swampland, all of which combine to house enormous populations of diverse wildlife. Today we arrive in San Jose, Costa Rica. First thing this morning (weather tends to be clearer at this time of day) we'll leave the city and head up to Poas Volcano, one of Costa Rica’s most popular active volcanoes to visit. * Standing at almost 2700m/8,900 ft above sea level, Volcan Poas National Park is actually home to two craters. The bigger of the two craters measures 1.5 kilometers in diameter (0.9 miles) and is 300 meters deep (900 feet). At the bottom of this hole, there is a medium sized blue-green lagoon that emits boiling sulphurous gases. The other crater is called Botos Lagoon which contains cold water. While Poas Volcano is one of the most active volcanoes in Costa Rica, don’t expect to see lava flow (the last major eruption was in 1910). However, you are likely to see steam and gases coming from the crater; occasional geyser-like eruptions have reached up to 820 ft. The main crater is easily accessed from a paved path/road which is about ½ mile from the visitors' center. We then return to the city where we'll visit the National Museum, a perfect introduction to the country's culture, biodiversity, archeology, and history all in one place. It includes a butterfly habitat, numerous ancient rock spheres (the "Easter Island heads of Costa Rica"), and colonial weapons, all housed in a fortified colonial building. * Through most of 2017, the park was closed due to unpredictable volcanic activity. Though it has settled down since and we expect the park to re-open for later 2018, we may be forced to substitute other sightseeing, of which details will be announced as developments warrant. This morning we leave the city and head west for the Pacific Coast, making a stop at Carara National Park en route. This is a small but worthwhile park, as it is here that we are able to witness the northernmost Pacific coastal rain forest remaining intact in Costa Rica, unique in that it is the transition zone into the tropical dry forests of the northwest. We'll go for an easy stroll in the forest; this is a good spot to watch for the 150-200 scarlet macaws that nest and feed throughout the reserve, among other things. We then continue to Quepos, the gateway to Manuel Antonio National Park, an unspoiled haven of natural beauty on the shores of the Pacific. This morning we enjoy a leisurely walk through part of Manuel Antonio Park. While strolling the forest trails and the white sand beaches, we'll encounter monkeys, iguanas, sea creatures and bird life of infinite variety. After our morning walk we will have time to relax on one of the park's beautiful beaches before returning to our hotel around lunch time. If you like you can stay and enjoy the park and return to the hotel on your own (via taxi). Manuel Antonio National Park is an area of sand curving around a bay strewn with islands of rock, and shaded by green bordering forests. All are backdropped by dramatic cliffs. Manuel Antonio beach is one of the few places in Costa Rica where unspoiled primary forest grows right to the high-tide mark, allowing visitors to bathe at times in the shade. South Espadilla is the northernmost of the park's beaches, followed by calmer Manuel Antonio beach, offshore of which are some coral spots. Third Beach has tidal pools where brightly- coloured fish and eels are temporarily stranded. Last is Puerto Escondido, access to which is made difficult by the bordering rocky promontory. Today is at leisure to enjoy this charming area. 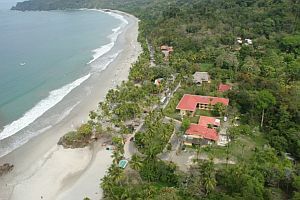 There are several optional activities, including boat trips and nature walks, or returning to Manuel Antonio. Your Tour Leader will provide information on any optional activites available throughout our tour (costs, durations etc) at our Day 1 orientation. S/he can then make reservations if necessary on your behalf (we caution you against making any bookings in advance from home, as your Tour Leader may elect to switch our included content around due to variables such as weather and other logisitical considerations). Today we travel through a rustic rural countryside to the Monteverde Cloud Forest Reserve area. En route we'll enjoy an informative crocodile safari. The safari provides visitors with an exciting opportunity to enjoy one of Costa Rica's most beautiful ecosystems. The tour takes place along the Tarcoles River and is accompanied by a bilingual guide, who will share interesting information and spot an assortment of critters. Most notably, the Tarcoles River is known for its abundance of crocodiles, some of which can grow up to 15 ft in length. Other animal sightings include over 50 species of bird -- including the rare scarlet macaw -- as well as an assortment of iguanas and lizards. Heading downstream, the boat will also pass through Estero Guacalillo, an extensive mangrove system which houses four different types of mangrove trees. We continue to Monteverde. Covered in a mantle of moss, ferns and orchids, this private reserve is home to over 400 species of birds and a great number of animals. The forest is created by the winds, particular temperature and moisture conditions, and mountainous topography which combine during the dry season to hold a steady cloud cover along the continental divide. The rains and the moisture in the air nourish trees and plants rooted in the ground, as well as many plants that live at the upper levels of the forest, and take their nutrients directly from the mist and dust that pass through the air. The result is an enchanted fairy-tale environment where trees are laden with orchids, bromeliads, mosses and ferns that obscure their branches, where the moisture and mild temperatures and sunlight filtered by the forest canopy encourage the exuberance of begonias, heliconias, philodendron and many other tropical plants in every available space on the ground. This afternoon we have a guided tour of the "Butterfly Garden" where butterflies and other endemic insects are raised and protected in a controlled environment allowing scientists to study them -- their place in the food chain and their response to things like increased pollution and climate change (depending on the timing of today's journey, we may accomplish this sightseeing tomorrow afternoon). This afternoon you may choose to go on an optional "Canopy Walk" excursion, located within the cloud forest. Suspension foot-bridges are strung across deep gorges allowing one to get a bird's eye view of the forest from a totally different perspective than we experienced this morning. At a leisurely pace, one can complete this easy and fascinating walk in about 90 minutes. Your Tour Leader can help you plan this activity (optional cost approx $25-40, subject to change). REMEMBER: This can be a wet and windy place by definition; tou should be prepared for varied conditions. Today we travel from Monteverde to Arenal. En route we enjoy a one-hour boat trip on the lake, a human-made body of water created to produce hydroelectric energy. It is about 80 square kilometres and produces near 40% of the electricity of Costa Rica; it also affords impressive views of the volcano (weather-permitting!) and surrounds. Upon arrival we will enjoy the hot springs of Baldi that are natural heated by the geotermic energy of the Arenal Volcano. Here a geothermally-heated river flows through beautifully- landscaped grounds featuring many plant and tree species and great birdlife. We will have time to relax in or around the various pools. The springs feature many hot pools with different temperatures fed by individual springs and two swim-up bars. This morning we travel by road from Arenal to Tortuguero, along the San Carlos flatlands featuring pasture lands and pineapple plantations and other local crops. We then board our riverboat and spend the afternoon journeying through interconnecting rivers and canals that take us finally to the Caribbean coast and Tortuguero Park. The park is a water thoroughfare which is a 160 km (100 mile) stretch of natural rivers, lagoons and estuaries, and human-made waterways that run almost to the Nicaraguan border. The canal is the main "highway" of the northern coastal region, complete with directional signs and branches from the main trunk route. As we go along the canal, keep a keen lookout for views of pastel-coloured toucans and monkeys of various type; if we're lucky, a lazy sloth hanging from a branch, and maybe a coati or two roaming the forest. Scattered along the way are human settlements, but mostly the banks remain wild, and the calls of monkeys and whistles of birds predominate over the noises of humans. Tortuguero Park is a fascinating place to explore. A jungle walk offers an opportunity to observe an awakening coastal rain forest full of lush vegetation and unique bird life. Keep your eyes open for the tiny red arrow frog-unique to this region. After lunch we visit the village of Tortuguero accessible only by river boat; you may choose to walk on the Caribbean beach where several turtle species lay their eggs each year (the Green Sea and Hawksbill turtles' nesting season runs from July to October with the peak in August, and the Leatherback turtles nest from February to April. It is possible to see individual turtles at any time of the year). We will visit the Tortuguero Museum, with its excellent displays pertaining to the ecology of the area and an informative video presentation specific to turtle conservation in Tortuguero and the entire Caribbean region. This morning we travel by boat and bus from the northeastern coast back to the central highlands arriving mid-afternoon with a lunch break en route. In the past ten years Costa Rica has emerged as one of the world's premier vacation hot spots. And in disproportionate numbers, gay travellers have descended upon this eco-friendly destination with full force. It's a very comfortable place for gay travellers, and most of the foreigners who have moved there to open inns and accommodations (e.g., Americans, Canadians, Europeans, etc.) tend to be on the left-leaning, eco-conscious, and gay-friendly side. Well-located, heated/air-conditioned, mid-range (3-star) hotels with en suite toilet and bath throughout (probably shower only). Single rooms are limited and likely smaller than doubles. Hotel porter service is sometimes available though you should be independent with your luggage. Some hotels have outdoor swimming pools. Road transport by private air-conditioned bus, 12-24 seats depending on ultimate group size (see 'group size'). Costa Rica's roads are generally good though we do have some full, though scenic, days of travel. Our difficulty rating level "2" refers to the trip's general ambitious nature, the possibility of heat at some locations, and the leisurely walks over uneven surfaces that are integral to getting the most out of this destination. This trip is, however, a little easier than most of our programs in Central America, in that the road travel is less arduous and there are more blocks of leisure time built in for relaxation or optional activities. The country is also well-organized and accustomed to foreign visitors with certain expectations concerning comfort and levels of service and amenities. This tour is offered late fall and late winter. In the Central Valley, where the main centres of population are located, the average temperature is 22C (72F). In the coastal areas the temperature is much hotter and humid. The "green" season runs May-Nov; the warm dry season is mid-November-May, though temperature differences between summer and winter are slight. 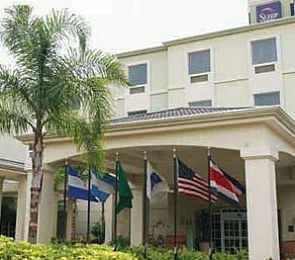 The Sleep Inn San Jose conveniently located in the heart of the city, only fifteen kilometers from the Juan Santamaria International Airport. It is only a short distance from tourist attractions like the Teatro Nacional, Museo de Jade, and Museo de Oro. The hotel is conveniently located within minutes from the World Famous Manuel Antonio National Park and the small sport fishing town of Quepos. All rooms feature well-appointed bathrooms, telephone, air conditioning, TV. 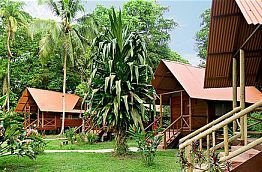 The lodge is strategically located only 5 minutes away from the extraordinary Tortuguero National Park, and right across the main "canal" facing the town of Tortuguero. Surrounded by a network of very scenic canals, this is considered one of the most exotic regions of the world, characterized by its rich in flora and fauna.